Description Check out this 2016 FIAT 500L Easy. Its Automatic transmission and Intercooled Turbo Premium Unleaded I-4 1.4 L/83 engine will keep you going. 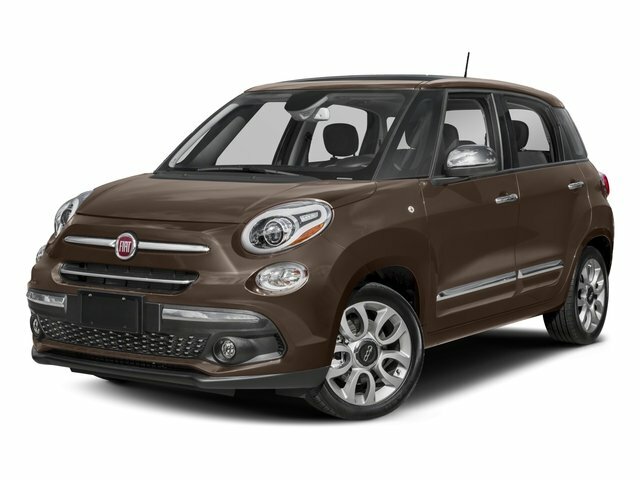 This FIAT 500L features the following options: WHEELS: 16" ALUMINUM (STD), TRANSMISSION: 6-SPEED AISIN F21-250 AUTO, QUICK ORDER PACKAGE 23D, NERO/GRIGIO (BLACK/GRAY) SEATS, MANUFACTURER'S STATEMENT OF ORIGIN, GRIGIO SCURO (GRAY METALLIC), EASY COLLECTION 1 -inc: Driver 4-Way Power Lumbar Adjust, Air Conditioning ATC w/Dual Zone Control, For More Info, Call 800-643-2112, ParkView Rear Back-Up Camera, 1-Year SiriusXM Radio Service, ParkSense Rear Park Assist System, Rear View Mirror w/Auto Dim, SiriusXM Satellite Radio, and BLACK, PREMIUM CLOTH LOW-BACK BUCKET SEATS. Stop by and visit us at Cutter Chrysler Jeep Dodge Ram Honolulu, 777 Ala Moana Blvd, Honolulu, HI 96813.